2009 Holiday Gift Guide | All Parks | Oh, Ranger! The holidays are fast approaching, and we’ve developed a great list of holiday gifts for everyone on your list. It’s broken down by price category, so you can easily find something in your budget. And remember, if you’re placing your order online, do it soon so your shipment can qualify for ground shipping, which saves on fuel, helping to reduce your carbon footprint and also saving you money! This is the ultimate eating utensil! If your favorite outdoorsman prefers to go lightly, they’ll relish the Snowpeak spork. Offering the best of both spoon and fork, this lightweight titanium utensil will offer twice the weight savings, replacing two utensils with one and shaving precious ounces off your back. Titanium leaves no metallic smell or taste and will never rust. An added bonus: titanium's natural composition creates a antibacterial film over the surface during oxidization. We like these sporks so much, we use them at every meal! Snowpeak Titanium Spork, $8.95, at Snowpeak.com. Here at OhRanger.com, we believe that there’s never an occasion when chocolate doesn’t make the perfect gift. The winter holidays are certainly no exception to that rule. 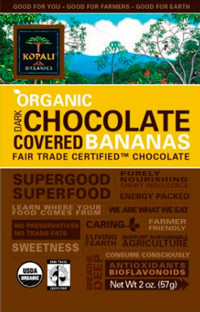 If you have more willpower than we do, you might be able to avoid eating Kopali Organics unbelievably delicious Organic Dark Chocolate Covered Bananas and actually give them as a gift. You’ll pay a little bit more for these delicious treats, but it’s worth every penny. Made from the highest quality fruits from around the world, Kopali Organics doesn’t add sugar, oil, sulfites, or anything else unnaturally. The fruits they use are sustainably harvested, fully ripened, picked by hand and dried on site at their farm in Costa Rica, and the rich dark chocolate coating has just enough sweetness and flavor, and is dairy-free and lower in sugar than most chocolates. Energy-packed, nutrient-dense and loaded with naturally occurring antioxidants and vitamins, these indulgent treats are the perfect addition for your next hike or snowshoeing excursion. You’ll be craving more after the first bite. Other varieties include Dark Chocolate Covered Goji Berries, Mulberries, Cacao Nibs, and Espresso Beans. Kopali Organics dried fruits and chocolates, $4.50 to $20, at Amazon.com or at your local Whole Foods Market, Wegmans, Earth Fare or Vitamin Shoppe. Surprise the young people in your life with these fun, funky temporary tattoos that come in the shapes of eight different animal heads, including a cow, a shark, and a zebra! The tattoos are designed to fit on the side of your thumb and pointer finger, so they open and close the animal’s mouth by opening and closing their hands. These creative and playful temporary tattoos are easy to apply, and are sure to bring hours of fun to all. 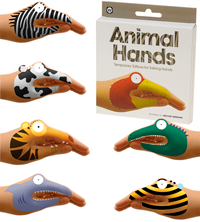 Animal Hands Temporary Tattoos, $5.99 at PerpetualKid.com. This creatively-designed doorstop is a fun, unique gift for that person on your gift list who has everything. 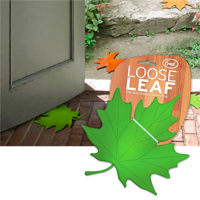 The Loose Leaf Deciduous Doorstop looks like it wafted out of the sky and flitted right into the doorway. But looks can deceive—it’s actually a very reliable and practical doorstop. This great conversation starter is also inexpensive, and will likely be put to use before you’re even out the door at the next holiday gathering. Loose Leaf Doorstop, $9.99 at PerpetualKid.com. 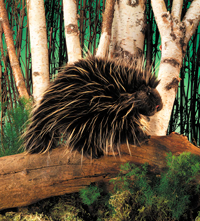 Inspire a child’s imagination with this strikingly lifelike push porcupine puppet! Even though its quills look real, they’re soft to the touch! This puppet will not only pique your child’s or grandchild’s interest in wildlife, but will also encourage his or her creativity! If a porcupine isn’t your critter of choice, the folks at Folkmanis offer dozens of other lifelike interactive animal puppets representing species from our national parks. Our other favorites include the bald eagle, alligator and snowy owl. And as an added bonus, the Folkmanis website uses a special system that partners with local retailers. When you order online, you're actually supporting a nearby independent retailer! Porcupine Hand Puppet, $14.99 at Folkmanis.com. Other puppets vary in price and size. Even with global warming raising temperatures across the country, Old Man Winter can still pack a punch. Wind and chill are a one-two-combination that’s difficult to defend against, but Badger Balms probably makes something that will make your relief your sore muscles or soothe your dry lips after a day chopping wood, shoveling the driveway or cross-country skiing on a local trail. 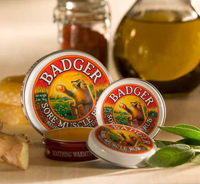 Our favorite badger balms are Sore Muscle Rub which is formulated with Cayenne pepper extract, a naturally anti-inflammatory shown to block pain without negative side effects, and Sore Joint Rub, made with Arnica and black pepper extract, which are known for their remarkable muscle and joint soothing qualities, improving circulation, and relieving stiffness. This winter give the gift of health and knock out Old Man Winter for the count. These products go great with a massage—so make someone's day and rub it in. Badger Balm, $8 to $15 at BadgerBalm.com. Help jump-start a friend or loved one’s national park vacation fund by creating a customized gift card online at GiftCardMall.com. You can choose a message to appear on the card and upload your own photo to add a personal touch to this Visa gift card. The site also allows you to type a note to the recipient, which will be included with the gift card. We uploaded a photo of Yosemite National Park and added a simple “Happy Holidays” message to the card we made online. The cards can be used at millions of merchants worldwide and online that accept Visa debit cards. Available in any denomination between $20 and $500 at GiftCardMall.com. Perfect for a youngster (or youngster at heart) this marshmallow launcher is guaranteed to add a twist to your next camping trip. Choose between the traditional marshmallow shooter, which gently launches regular-sized marshmallows with a satisfying “whoosh!,” or the Bow and Mallow, which discharges a flurry of marshmallows as quickly as you can draw back the bow. Remember to save some marshmallows for s’mores and to always keep your campsite clean to keep out unwanted pests. Marshmallow Shooter, $24.95, at Marshmallowville.com. To find the perfect gift for the shutterbug on your list, look no farther than Picnik.com, an easy-to-use online photo editor. The award-winning program gives users fast, easy access to powerful editing tools from any computer platform using any Internet browser—bringing photo-editing superpowers to real people. Picnik tools can reverse the washed-out feeling created by overexposure from the midday sun, instantly whiten teeth of photo subjects, or turn a color photo to black an white—all with a few clicks of a mouse! In addition to these useful touch-up tools, Picnik features an endless supply of fun, quirky features that allow users to transform their photos using templates that are normally available on high-priced software. 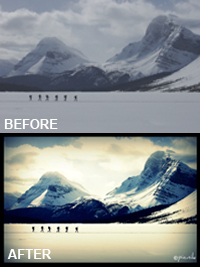 You can easily convert a landscape photo into a pencil sketch, make a digital photo look like a Polaroid snapshot or create a one-of-a-kind collage. Best of all, Picnik integrates seamlessly with popular photo-sharing sites like Facebook, Flickr, MySpace, Picasa Web Albums and Photobucket, making it a cinch to grab and edit photos, no matter where you’ve got them stored! One Year Premium Picnik subscription, $24.95, available at Picnik.com. If someone on your gift list is in need of an escape, why not get them a little inspiration for their next vacation or give them the tools they need to start planning a summer getaway? A complete set of American Park Network’s little, green Oh, Ranger! guides will provide just the inspiration your friends and family need to jump-start their plans for an unforgettable trip to see Old Faithful, El Capitan. Covering more than 50 parks nationwide with expertly written content and tips for planning your visit, Oh, Ranger! guides have helped more people make the most of their national park trips than any other publication, and are completely carbon free. * The comprehensive guides are beautifully illustrated and feature an invaluable gatefold map, perfect for navigating parks both large and small and offer everything you need to make your next trip, and all the ones that follow, unforgettable. Oh, Ranger! National Parks Guide Set, $19.95 (less than $1 per guide), at Altrec.com. *American Park Network is a leader in conservation and sustainability. We’ve teamed up with the National Forest Foundation to offset 100 percent of the carbon footprint of all operations, including all paper, printing and distribution of the guides. We are also very proud to support 1% for the Planet by donating one percent of our revenues to support environmental stewardship. The development of Yosemite and Sequoia & Kings Canyon national parks hinges on the service of African American Buffalo Soldiers, who blazed trails, constructed roads, created maps, evicted poachers and loggers, and protected tourists as they started to visit our parks. Their role in national park history lay buried in Yosemite’s research library for nearly a century. In the 1970s and 80s, park rangers gave living history programs about the Buffalo Soldiers, but it wasn’t until the 1990s, when Yosemite Park Ranger Shelton Johnson started digging through the park archives, that the story of Buffalo Soldiers in our national parks began to take root nationwide. Johnson, who recently starred in the Ken Burns documentary The National Parks: America’s Best Idea, which premiered on PBS this fall, recently released a novel about the life of a young boy who becomes a Buffalo Soldier at Yosemite. 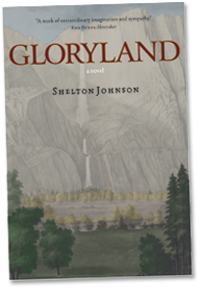 The novel, titled Gloryland, paints a realistic picture of what life was like for African-American men in the late 1800s and early 1900s. After years of serving in the army, the main character ultimately finds a home when his troop is posted to guard the newly created Yosemite National Park in 1903. Here, living with little beyond mountain light, cold rivers, campfires, and stars, he becomes a man who owns himself completely, while knowing he's left pieces of himself scattered along his life's path like pebbles on a creek bed. Johnson wove the story from his own family's past, and from the threads of history he found while researching the role of Buffalo Soldiers in Yosemite. His narrator's voice--poetic and rhythmically cadenced--makes Gloryland a literary meditation on finding a self and a spiritual home, while unveiling a little-known chapter of America's past. Less than a month ago, one of the largest bulls in a herd of elk at Great Smoky Mountains National Park was illegally shot and killed inside the park. Those at the Friends of the Smokies organization have been deeply saddened by this instance of poaching, as the organization was instrumental in the return of the native elk herds to Cataloochee Valley. Elk viewing is now a beloved part of our national park experience. The elk, known to those at the park as Elk #21, was park of a herd that was reintroduced in 2001 in a collaborative effort between the Great Smoky Mountains Natural History Association, Friends of the Smokies, Rocky Mountain Elk Foundation, Parks Canada, the U.S.G.S. Biological Resources Division, and the University of Tennessee. Elk once roamed the southern Appalachian Mountains and elsewhere in the eastern United States. They were extirpated by over-hunting and loss of habitat. The last elk in North Carolina and Tennessee were believed to have been killed in the late 1700s and mid-1800s. While federal authorities bring charges against the North Carolina man in connection with the shooting of Elk #21, it will neither be easy nor inexpensive to replace this impressive specimen. Show your support for the Smokies and for elk reintroduction by making a donation on behalf of your loved ones to support the activities of the Elk Bugle Corps in Cataloochee in 2010. Each summer and autumn, a corps of local volunteers work in the Cataloochee Valley to provide visitors with information on elk and to educate on ways to view elk without jeopardizing visitor safety or causing elk to become overly habituated to humans. Memorial for Elk #21, donations of $10 or more, at FriendsoftheSmokies.org. Since 1871, Field & Stream has epitomized the best of outdoor living and its recently launched clothing line combines its outdoor with a new modern day lifestyle. The company’s fall/winter 2009-2010 product line was inspired by the landscapes, colors and weather of Jackson Hole, Wyoming and the people who call it home. These threads are made for anyone who knows how to blur the line between work and play and knows that no one at the end of their life regrets that they didn’t spend more time in the office. We’re fans of the John Doe shirt, which takes its styling cues from the army surplus classic. It offers casual construction and tough canvas that wears all day long. Thanks to its relaxed fit, you can wear it and make an immediate transition from the office to the trailhead. 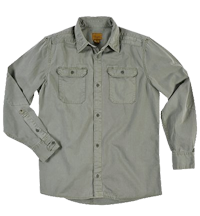 Constructed of mid-weight canvas, the shirt will hold up to steady abuse and wears even better after repeated wash. Park Insider readers receive special savings on this AND all Field & Stream apparel. Use promo code 'FSHOL1' for a 40 percent discount on your entire order! John Doe Shirt, $31.50 after discount, at FieldandStreamBrand.com. 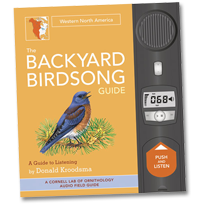 The perfect gift for both novice and avid birders on your list, the Backyard Birdsong Guide Book will help readers recognize birds by ear, as well as by sight! Discover 75 species and their songs at the touch of a button while reading vivid descriptions of their calls and related behaviors. This engaging book is designed for those with some birding experience, since the user will need to look up birds by group or name. That said, it is beautifully illustrated and contains up-to-date range maps and other interesting content that will engross readers for hours at a time. This guide will quickly become a favorite thanks to a 130 song and sound library provided by the Cornell Lab of Ornithology's world-renowned Macaulay Library and brought to life by an integrated audio module! Choose from one of two versions: either the Western North America guide or the Eastern and Central North America guide, $29.95 at ChronicleBooks.com. There is absolutely nothing fishy about the Columbia River Knife & Tool Guppie, a multitool which is as effective as it is well designed. The aptly named device, which incorporates an adjustable wrench, a high-carbon stainless steel blade, and a screwdriver, among other tools, worked swimmingly on a wide range of light repair and assembly jobs. Its removable bit carrier is also a high-intensity LED light. It has two strong magnets to hold it securely to the Guppie's left side. While the carabineer is non-weight-bearing, you can use it to open bottle caps, something that you’ll be grateful for the next time a long day’s work makes like you’ve been swimming upstream all day. Guppie Knife and Tool, $39.99, at CRKT.com. If you’ve got a nature lover on your gift list, adopt a sea turtle on their behalf. Make a donation to Oceana, the largest international organization focused solely on ocean conservation, and they’ll send you a personalized adoption certificate and a sea turtle shaped cookie cutter. The virtual adoption is a symbolic one, which helps fund Oceana's campaigns to preserve coral reefs, curb climate change, protect sea creatures and maintain a healthy and abundant ocean. In the case of loggerhead sea turtles, Oceana lobbies Congress to develop comprehensive legislation to protect sea turtles and to protect key loggerhead habitat in places like Archie Carr National Wildlife Refuge in Florida, Cumberland Island in Georgia, The Cape Romain National Wildlife Refuge in South Carolina, Cape Hatteras in North Carolina, the Chesapeake Bay and the Delaware Bay. They also work to reduce the unintentional capture of sea turtles in U.S. fisheries through fishing gear modifications and by advocating for the closure of fisheries at times and in areas where sea turtles are likely to be present. Adopt a sea turtle, or one of five other sea creatures, starting at $35, at Oceana.org. Who could ask for anything more than 193 million acres of rivers, trails and wild landscapes? Show how much you care about your friends and family, as well as the planet, by giving them the gift of trees with a National Forest Foundation gift membership. With each gift membership, the NFF will plant five trees on behalf of your friend or family member, who will also receive a one-year NFF membership, a subscription to Your National Forests magazine, and a card notifying them of your gift and the associated tree-planting. Annual members are the heart and soul of the National Forest Foundation's mission. They represent the spirit of our public lands, which were created for and by American citizens who cared about the future of the nation's natural resources. Gift Membership to the National Forest Foundation, starting at $35, at NationalForests.org. They say plaid is the new black--Buffalo Check is en vogue, and it’s Woolrich that started it all! The red and black Buffalo Check was first introduced in 1850 by Woolrich, who has been making wool products continuously since 1830. Why Buffalo Check? Just happens that the designer of the check design owned a herd of buffalo and as they say the rest is history. While the original was made of wool, the Buffalo Check Flannel shirt is 7 oz. 100% cotton flannel and is much more comfortable to wear against the skin. 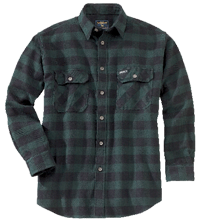 Woolrich Buffalo Check Flannel Shirt, $49.50, at Woolrich.com. Hi-Tec’s versatile V-Lite Thunder HPi hiking shoes will allow wearers to experience every ecosystem without missing a beat. Weighing in at only 13.2 ounces, the V-Lite Thunder HPi packs an explosive punch while keeping you light on your feet giving the explorer on your gift list the freedom to discover many diverse flora and fauna. The latest innovation in hydro management technology, ion-maskTM, serves as a personal atmosphere for your feet by repelling all liquid forces. So whether they’ll be conquering an unfamiliar trail or discovering new meadows, a pair of these will help sharpen their prowess for adventure. Hi- Tec V-Lite Thunder HPi, $89.95, at Altrec.com. Give the gift that will keep giving all year long! The adventurer on you list will be thrilled to receive an annual National Parks and Federal Recreational Lands Pass which offers unlimited entry to all federal lands. The outdoor possibilities are endless with this low-cost, unlimited park pass that is valid for a year from the date of purchase. It will please any of the outdoor enthusiasts on your shopping list, who can use it to explore and recreate in any of the more than 2,000 federal recreation sites it covers. The recipient of this versatile gift can use the pass to cross-country ski at Crater Lake National Park, watch for alligators and other wildlife at Okefenokee National Wildlife Refuge, go snowshoeing in Rocky Mountain National Park, view rare plants and trees in El Yunque National Forest, or bike the trails in the Cottonwood Valley in Red Rock Canyon National Conservation Area. No matter where they head, adventure awaits! Best of all, the proceeds from the sale of the pass will be go back to support the infrastructure of parks and public lands. America The Beautiful - The National Parks and Federal Recreational Lands Annual Pass, $80 at parkpass.net. 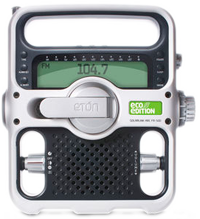 The Etón “ECO Edition” is the latest in an unparalleled line-up of environmentally-friendly, consumer electronic products utilizing natural resources (solar energy and/or hand-crank technology) to power the device. A portion of each unit sold will go back to support the National Park Conservation Association. Etón ECO Edition (FR500) Weather Radio, $59.95, at Altrec.com. Give the gift of local food by sending a friend or family member a gift basket from LocalHarvest.org, which brings the products of family farmers home to you and your loved ones. The site offers a cornucopia of products, more than 6,000 regional specialties from across the country—from local cheeses and berries to maple syrup, dried fruits and nuts, chocolates and honey. Local food is fresher than anything you’ll usually find in your supermarket, and it is tastier and more nutritious. It is also good for your local economy—buying directly from family farmers helps them stay in business—and the environment, since it will take less fossil fuels to transport the products you buy to your doorstep. Local Harvest Gift Baskets, average cost $50, at LocalHarvest.org. For those who want to take the creature comforts of home with them on the road, Handpresso has invented a brand new way to enjoy a smooth, rich espresso anywhere you can heat water. Two versions of this small, portable espresso machine are available. The original Handpresso uses prepackaged E.S.E. coffee pods, while the newer DomePod model works with your favorite ground coffee. Both use a patented pressurizing method using a 16bar hand pump attached to the device. Light and durable, the Handpresso can go with you anywhere! Handpresso DomePod, $99.99, at Importika.com. If you are like most national park visitors, you don’t go anywhere without your camera; no one wants to miss capturing a shot of a wolf in Yellowstone or an alligator in the Everglades. There are some times, though, when we leave our cameras behind for fear that they may not return. Snorkeling and scuba diving. White water rafting. Even just fishing or going to the beach. That fear may now be a thing of the past. 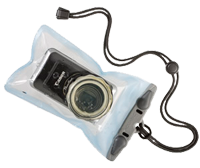 This season consider an Aquapac 100% waterproof Hard Lens Camera Case for your favorite shutterbug, which is compatible with most digital point and shoot cameras. They’ll have no problem operating the camera’s functions, even underwater—the case is submersible to 15 feet. Their images will be so strong that people won’t be able to tell that they’re shooting through a case. The case floats when a camera is in it, so they can bring it virtually anywhere without concern that it’ll sink. We keep our camera in the case whenever we’re traveling because it keeps out sand and dust, too. Aquapac Hard Lens Camera Case, $55, at Aquapac.net. The 2009 critically acclaimed series from Ken Burns and PBS is now available on DVD! The National Parks: America's Best Idea is a masterpiece in 12 hours—tracing the birth of the national park idea in the mid-1800s through its evolution for nearly 150 years, chronicling the addition of new parks through the stories of the people who helped create them. There is so much more to the story than the parks you know. During the holiday season, the DVD set is packaged with the full-size hardcover book and an audio CD of the soundtrack. A great value and an amazing window into our beautiful country! 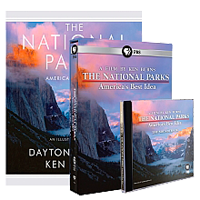 Ken Burns: The National Parks: America's Best Idea DVD & Book plus Bonus CD Soundtrack, $149.99, at ShopPBS.org. Serious outdoors people have to know how to use their ABCs— Altimeter, Barometer, Compass—when they head off the grid. Make sure that your favorite outdoor adventurer is properly equipped the next time he or she goes out on (or off!) the trail—give the Timex Expedition WS4 this holiday season. This best-of-breed model incorporates a panoply of other features including time with full calendar, logs for all major functions, stopwatch, timer, alarm, two easy-view time zones, weather forecasting and thermometer. All of the sensors work admirably in a wide range of conditions. What we like most about the WS4 is its unique design, which has received a lot of compliments. Its wide LCD screen (hence WS) is easy to read in all lighting conditions and its user interface is well-designed and easy to operate. Even on small hands and wrists, this amazing time (and conversation) piece looks impressive and wears comfortably. For a generation that has become accustomed to using cell phones to check the time, the Expedition will be a welcome addition, especially anyone who can appreciate visiting places where they don’t get any bars. 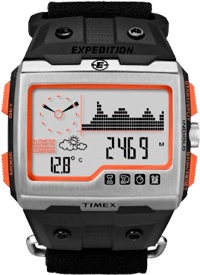 Timex Expedition WS4, $200, at Timex.com.